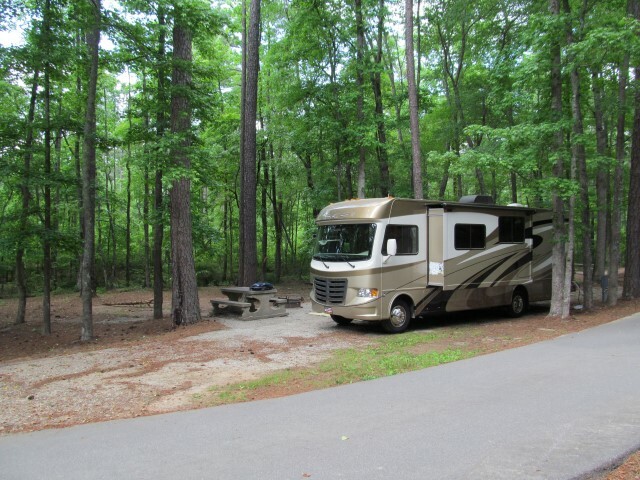 Several years ago, when the younger son was in flight training at Fort Rucker, all four families met up at FD Roosevelt State Park near Pine Mountain, Georgia, for a weekend of family camping. We picked a site suitable for our trailer, and Son Number Two picked an adjacent site, below us, and nicely flat for the tent he and his wife were using. 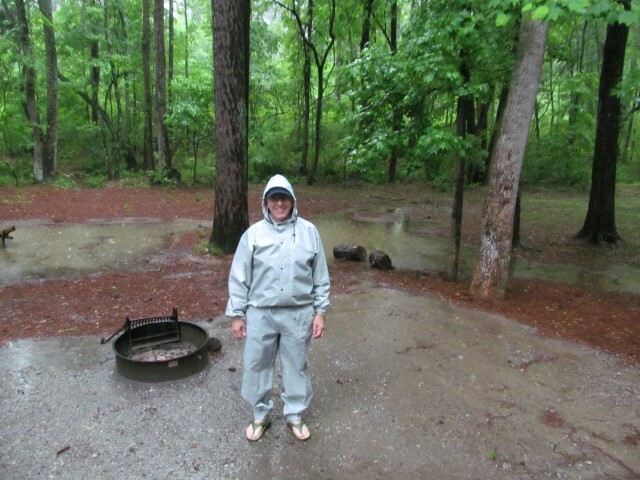 Problem was, during that trip it rained, and it rained, and it rained, until the flat area was completely flooded. And this trip? Same deal: It rained, rained, rained, and rained more, until it looked like this. Last time, we toughed it out. This time, we quit. Really. FDR State Park is only 30 miles from home and if we were going to be stuck indoors, reading books, watching TV, while it rains cats and dogs outside, we decided we’d rather be at home. So we decamped and headed home. Oh well … FDR is one of our favorite state parks. We’ll be back soon, but hopefully next time it will be somewhat drier! This entry was posted in Travels on May 19, 2013 by skiprd.